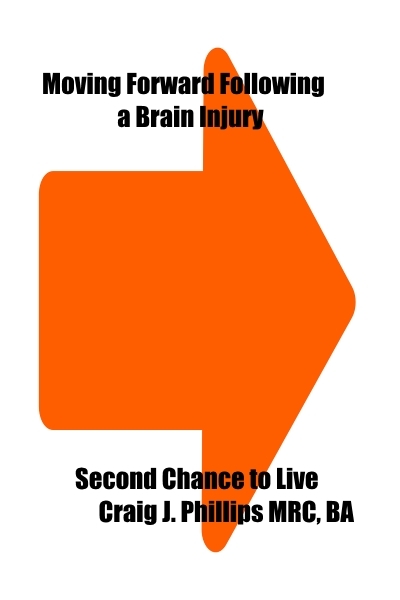 February 6, 2014, will mark the 7 year anniversary since I created Second Chance to Live. 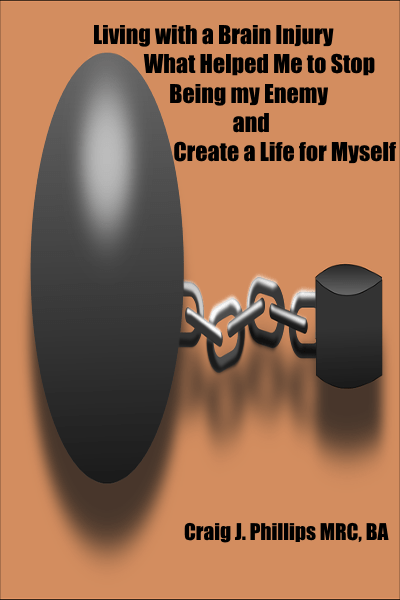 During my journey, I have written a total of 1303 articles for Second Chance to Live. 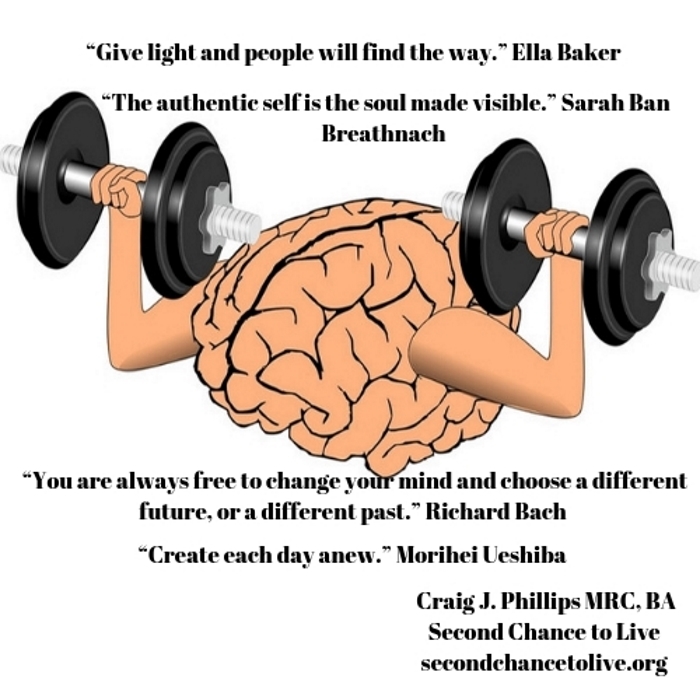 To view a list of the articles that I have written and published on Second Chance to Live, please visit my Site Map for my Articles. 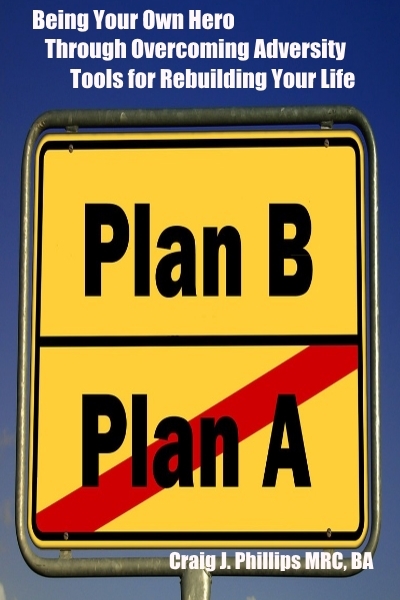 Here is a link to my Site Map for my Articles. My Site Map for my Articles contains a list of the titles of the articles that I have written. 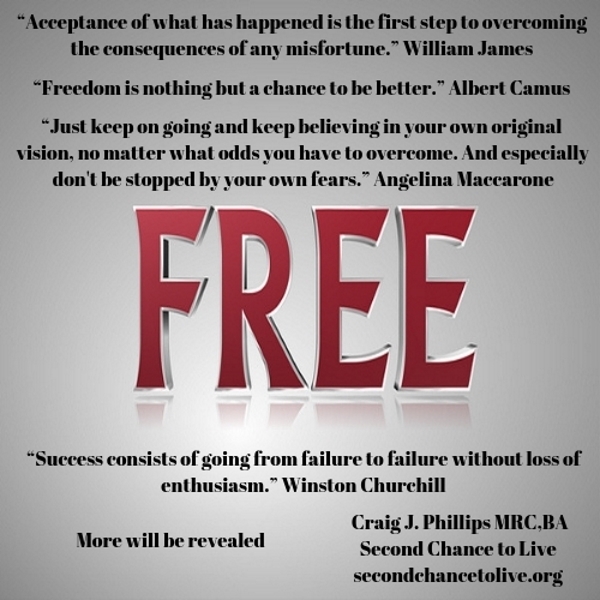 By clicking on the individual title of the article, the article will open for you on Second Chance to Live. 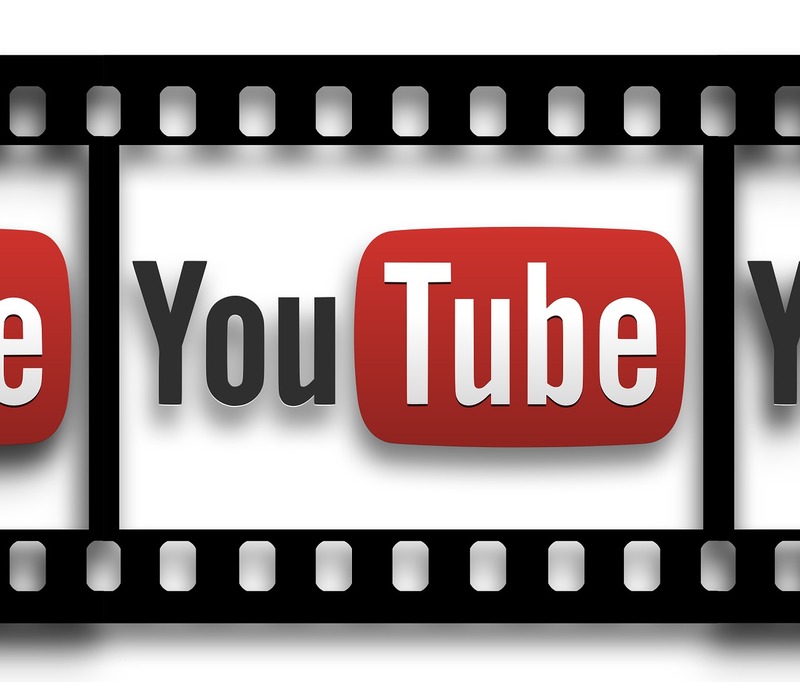 On July 29, 2011, I created a YouTube channel to begin creating video presentations for individuals who learn better through watching and listening, instead of by reading. To date, I have created 290 video presentations for my Second Chance to Live 2dogbull YouTube channel. 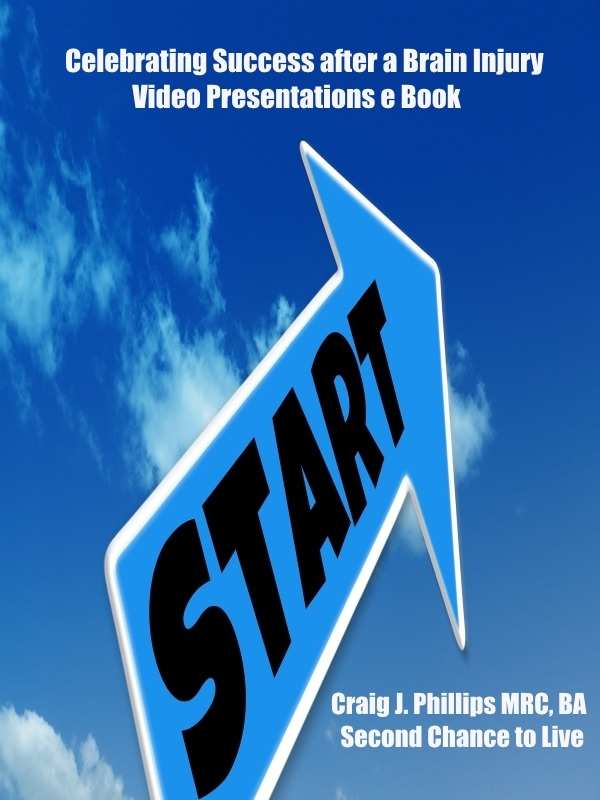 A list of these video presentations can be found on my Site Map for my You Tube Video presentations by clicking on the following link Site Map for my You Tube video presentations. 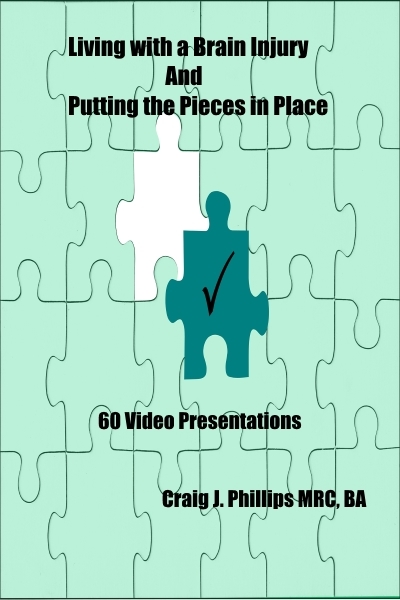 Within my Site Map for my video presentations, there is a list of the video presentations that I have created. 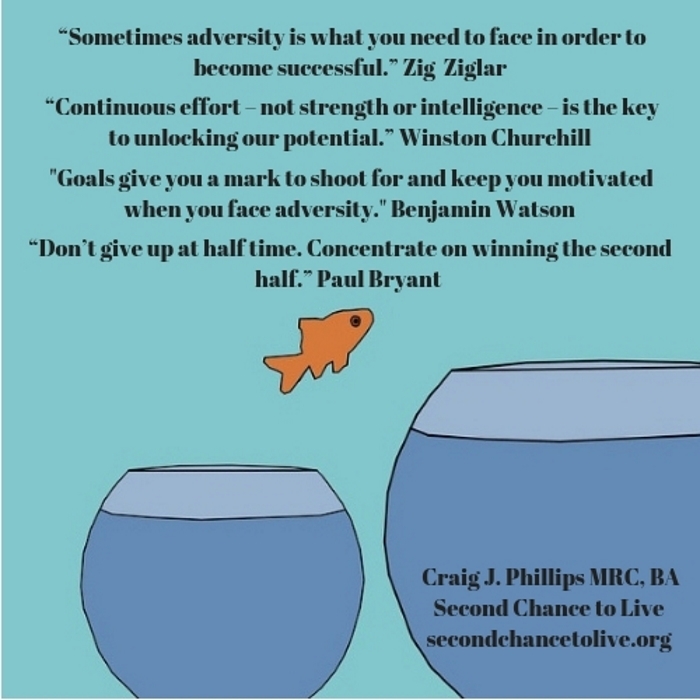 “While listening to Craig a light bulb went off regarding my son who experienced a TBI (unknown to me) in middle school and something that may help him” and “I was extremely impressed how he showed us how the determination is usually all it takes. I appreciate your story tremendously” and “I learned more about individuals with brain injuries” and “keep after your goal”. I was a keynote speaker at the Southwest Conference on Disability 2013 with the University of New Mexico. I spoke on October 9, 2013, to approximately 500 -600 individuals. 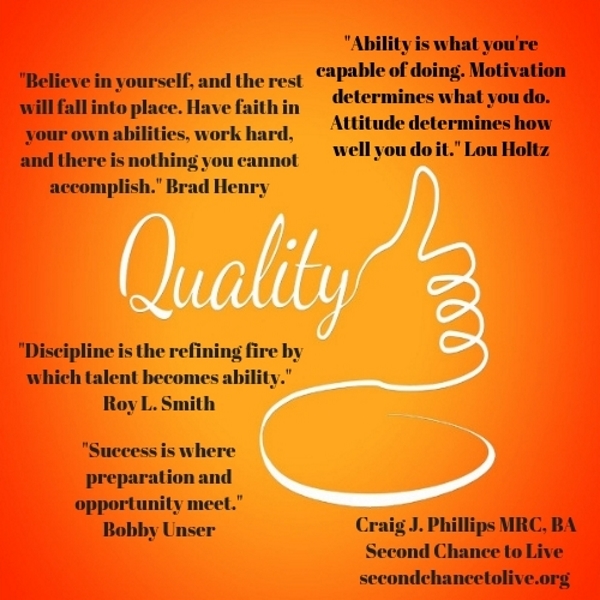 I met Craig at the 2013 Southwest Conference on Disability, where he spoke as one of the keynote speakers for the conference. 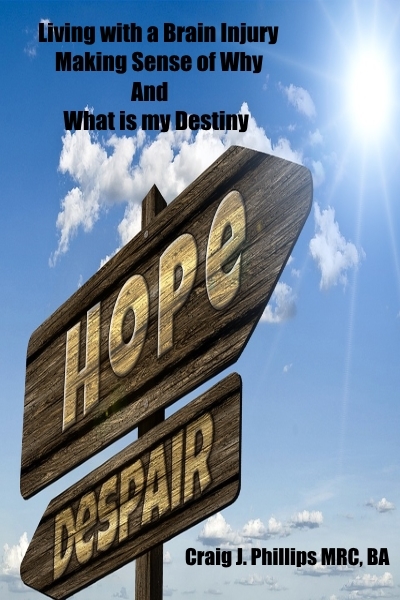 His remarkable words of inspiration moved hundreds of individuals in the room. 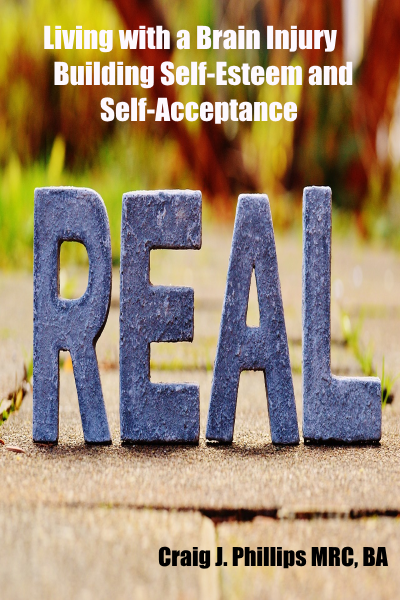 Craig has an impressive ability to share his personal experience in a way that just about anyone can relate. His remarks brought strength and motivation to many in the audience. 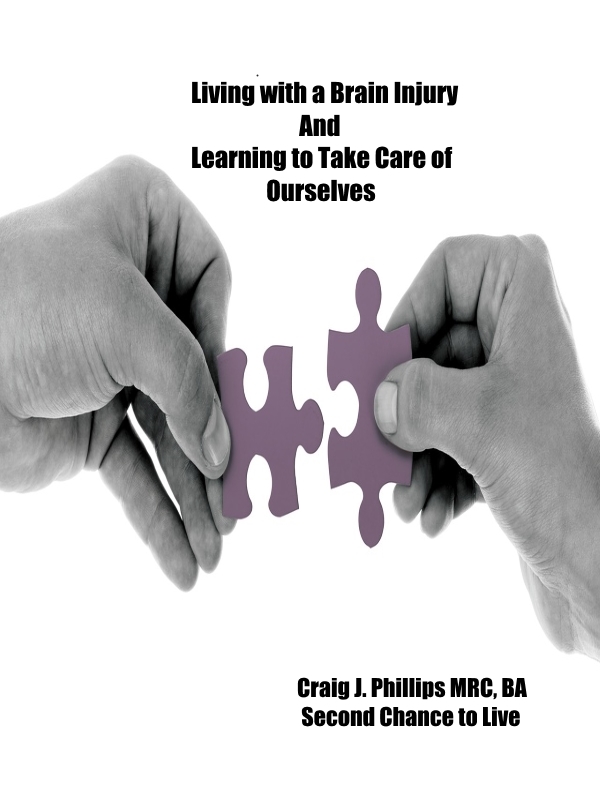 Craig has also invested much time and effort in creating many resources for individuals. 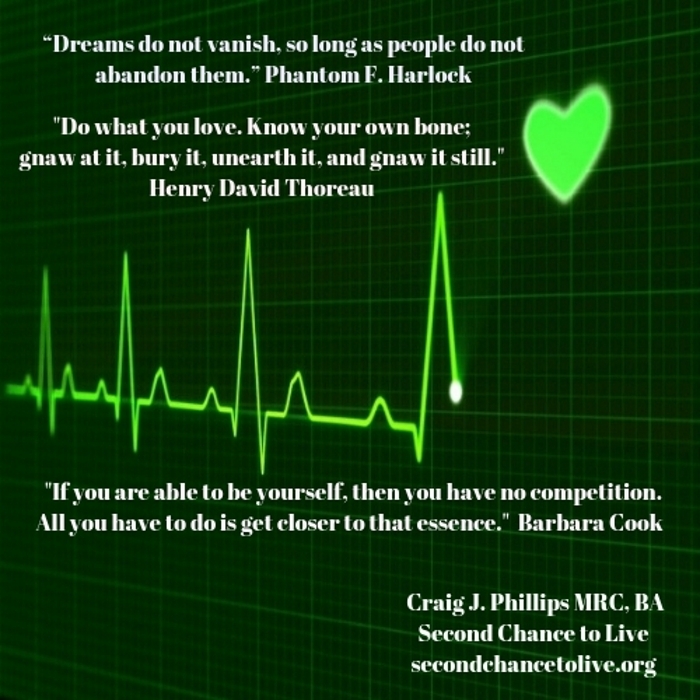 I admire Craig’s dedication to inspire our community through his work with Second Chance to Live. 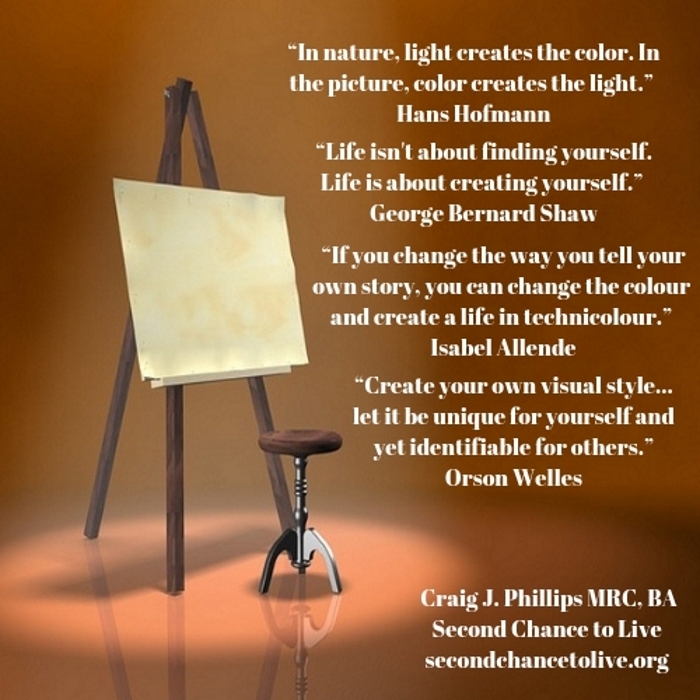 Craig Phillips is an exceptional person who has constructed his life to help others. 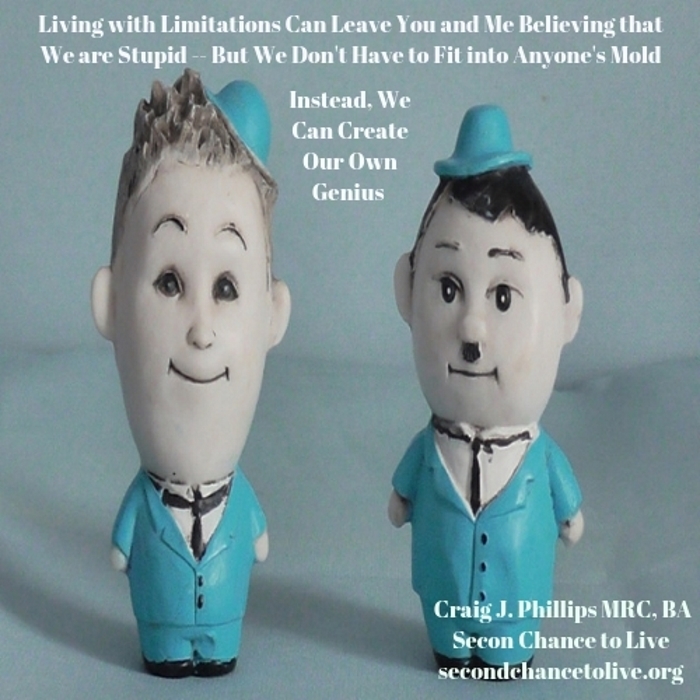 I had the privilege to meet Craig, in person, at the Southwest Disability Conference in Albuquerque, New Mexico in October 2013 where he was a keynote speaker. 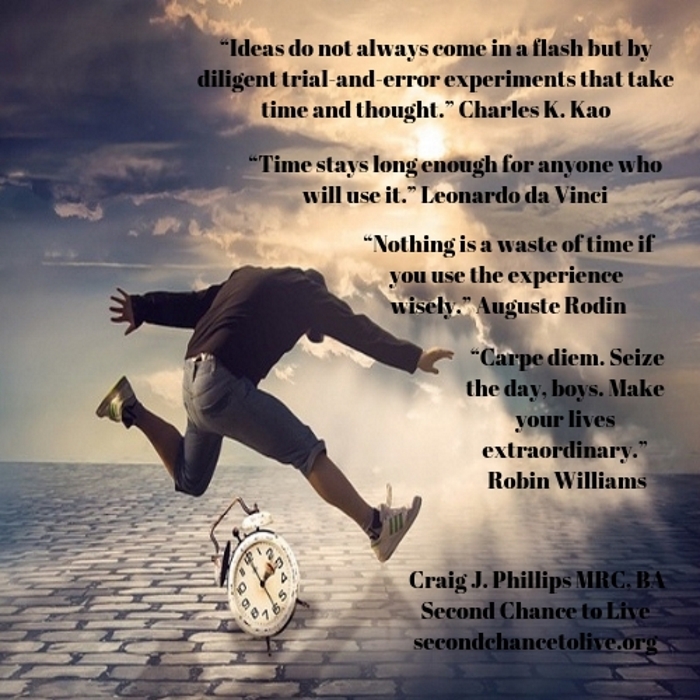 I had known Craig prior to that conference through his website and on-line presence where we had the opportunity to interact and learn about his work. 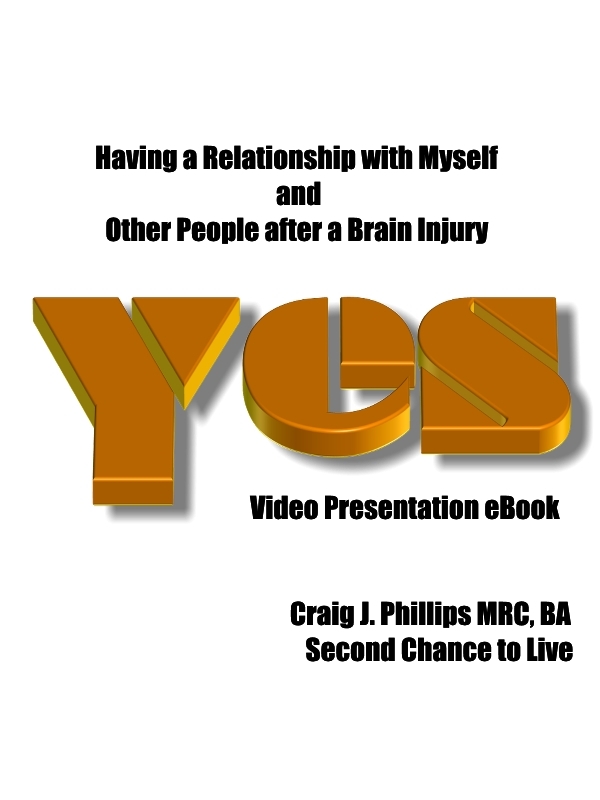 What is impressive about Craig is his forthright manner about discussing his brain injury, it impacts on his life and his devotion to helping others through Second Chance to Live. Craig has written a blog on our NeuroNotes which has brought his work to others living with brain injury. Craig’s message is universal. 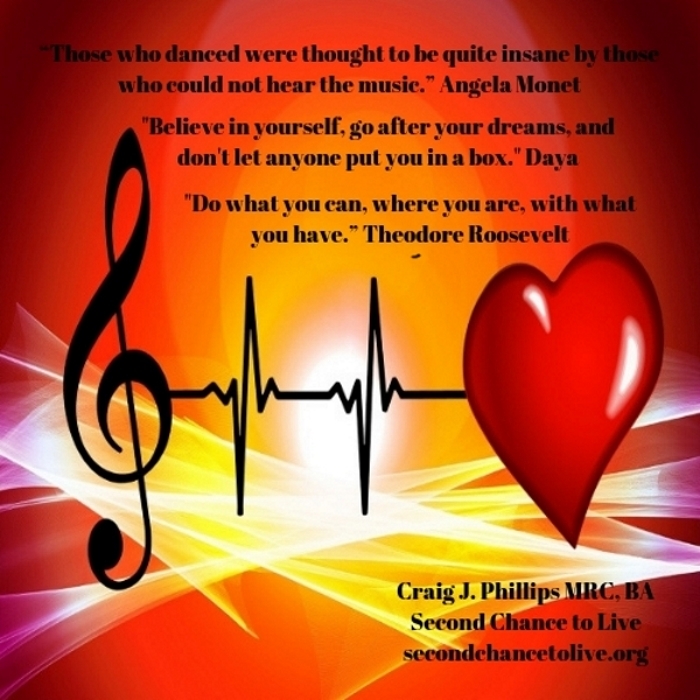 “You can find your way thru tragedy and build a new life.” It may not be the life you had before, but Craig’s message of hope, empowerment, and love can help you discover your second chance to live – and live well. 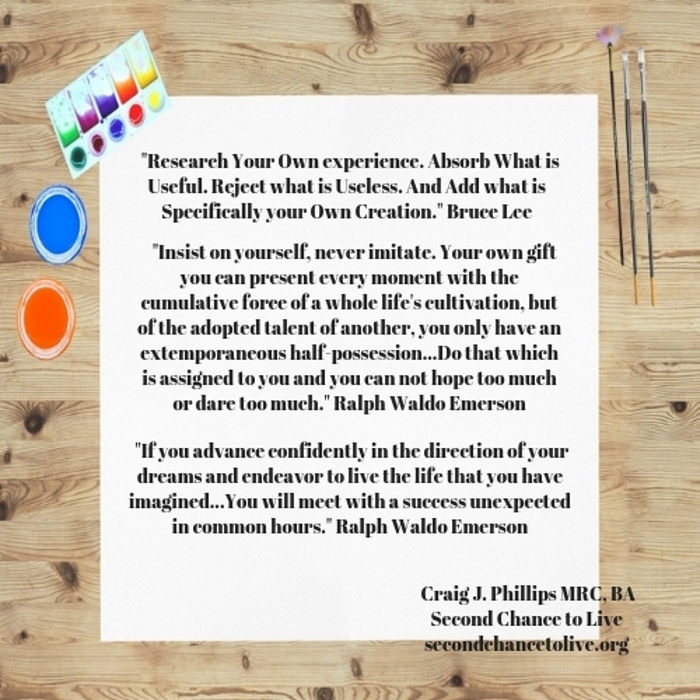 I am grateful for Craig’s beautiful writings. They inspire me and bring me comfort. 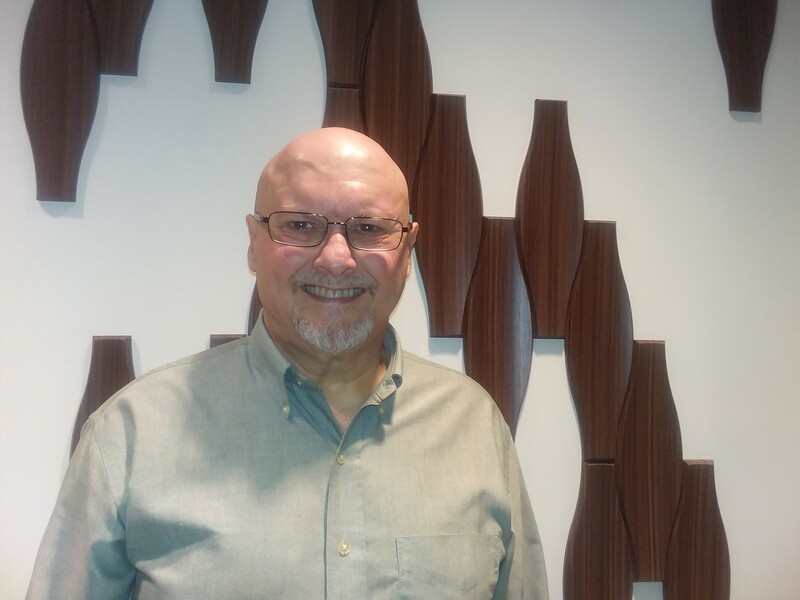 As a speaker, Craig, speaks from the heart and is a living testament to his message. 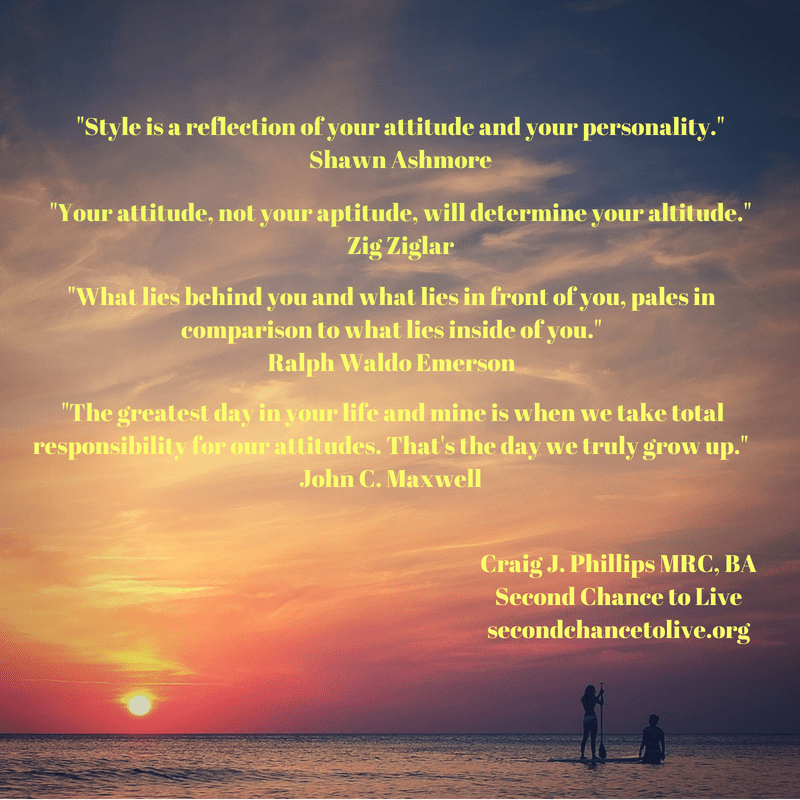 I am honored to know and learn from Craig Phillips. To empower individuals whose primary language is not English, I have created a tool. I have named the tool, Easy Translator into Your Language. 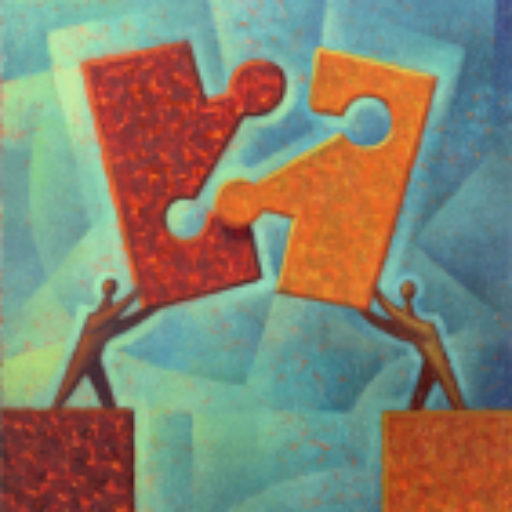 This tool can be accessed by clicking on the following link, Translator. By using this tool, Second Chance to Live can be converted into these languages. 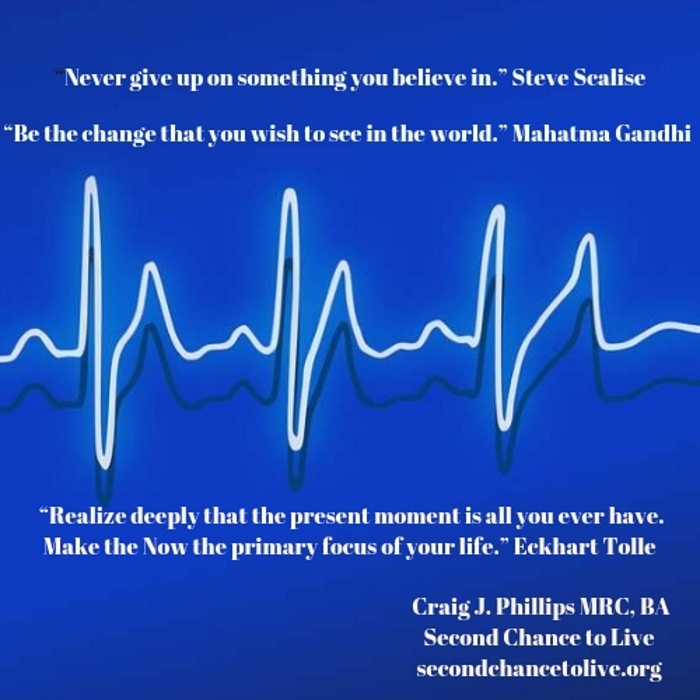 During the past 7 years, Second Chance to Live has been of service and met a unique need, both nationally and internationally. 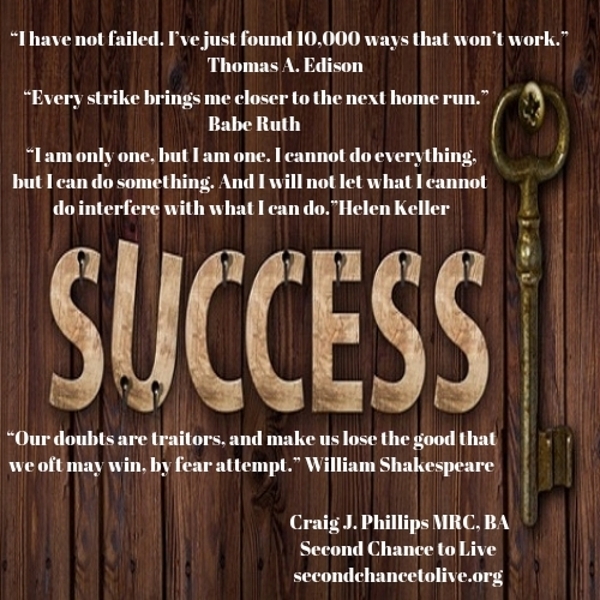 To see some of the ways that Second Chance to Live has been of service, please click on the following highlighted links. Thank you. 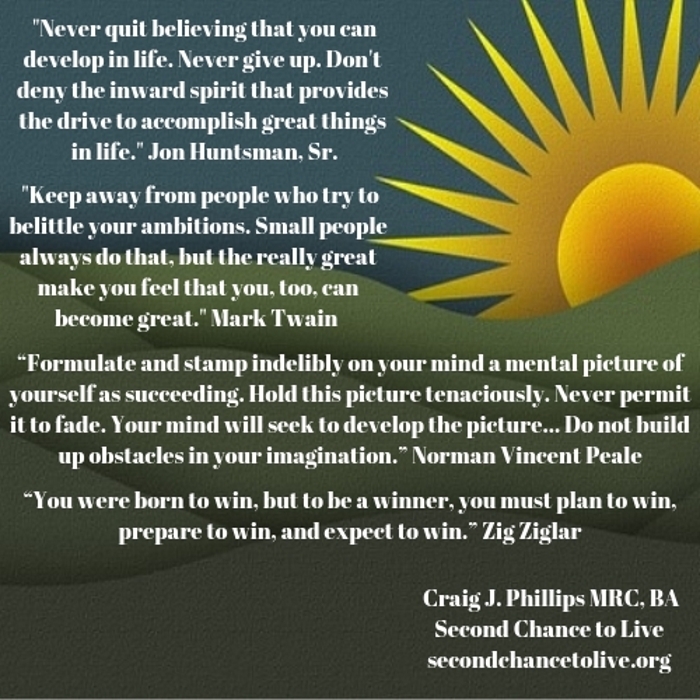 I want to thank you for being a friend of Second Chance to Live. I look forward to being of service to you and your family. In the event that I can be of service, please let me know. I look forward to hearing from you. 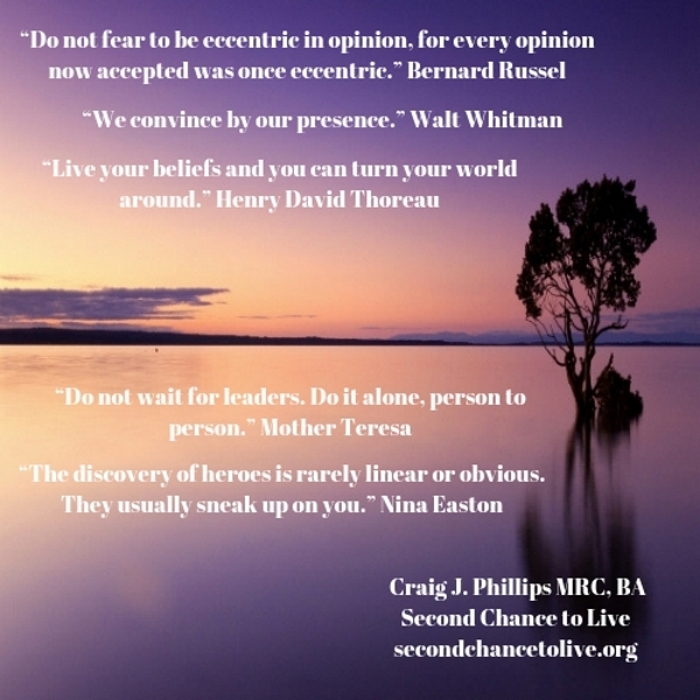 I will say so long for now, but before I do let me share some of my favorite quotes with you. 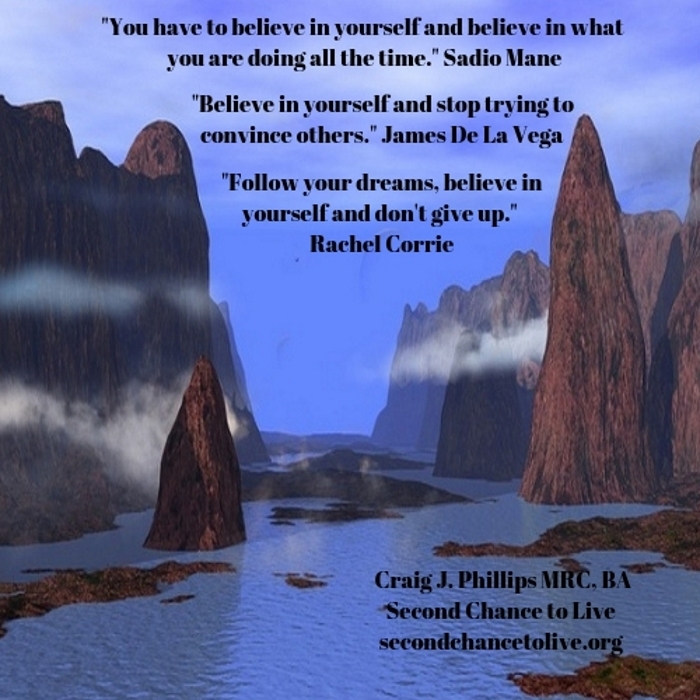 As you read these quotes, may you be encouraged to follow your dreams, to trust the process, a loving God and yourself. Be encouraged my friend, more will be revealed to us in time. 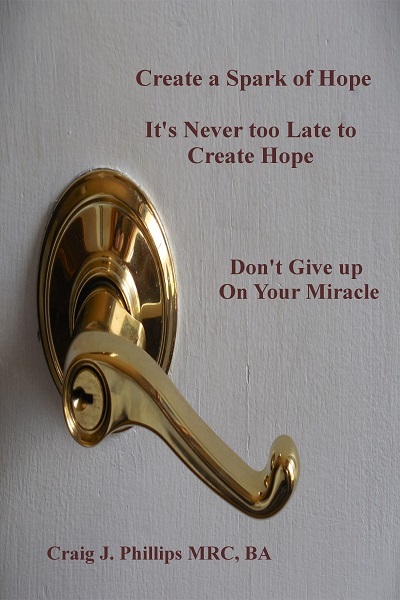 Be encouraged my friend, our circumstances are not meant to keep us down, but they are meant to build us up. 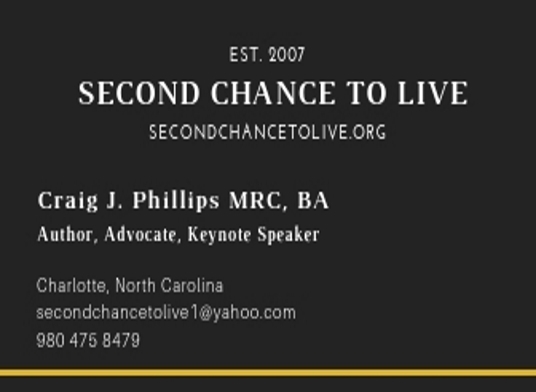 You have my permission to share my articles and or video presentations with anyone you believe could benefit, however, please attribute me as being the author of the article (s) video presentation (s), and provide a link back to the article (s) on Second Chance to Live. In the event that you have questions, please send those questions to me. All questions are good questions. Thank you. I look forward to hearing from you. Copyright 2007-2015. Filed Under: My Journey Living with a Brain Injury Tagged With: abuse and neglect, abuse and trauma, Acquired Brain Injury, acquired brain injury and feeling alienated, adult children of alcoholics and traumatic brain injuries, Adult Children of Alcoholics living with traumatic / acquired brain injuries, brain injured soldiers, Brain Injury, Brain Injury caused by exlosions, Brain Injury Concussions and Sports, Brain Injury Education, Caregivers, Caregivers for people with traumatic / acquired brain injuries, celebrities with brain injuries, characteristics of traumatic brain injury, Closed Head Injury, combating brain injury isolation, Department of Veteran Affairs, empowerment, Empowerment and Inspirational Speaker, Families impacted by brain injuries, flash explosion leading to brain Injury, Fulfilling your Destiny, head injury, Invisible Disability, learning disabilities, Learning to Accept Yourself as a brain injury survivor, Learning to Love Yourself as a brain injury survior, life challenging experiences, living life on life's terms, living my destiny, living with a brain injury, Living with a Disability, Living with a Invisible Disability and feeling shame, living with a traumatic / acquired brain injury, Living with a traumatic brain injury and feeling shame, Living with an Invisible Disability, living with meaning and purpose, Meaning and Purpose, messages of hope, messages of hope and inspiration, Mild Traumatic Brain Injury, Military Personell impacted by Traumatic Brain Injuries, Military Traumatic Brain Injury Support Meetings, Motivaional Speaker, No Longer a Victim, Overcome Being Bullied, Overcoming Societal Stigmatization, Parents of children with Acquired brain injuries, Post Traumatic Stress Disorder, Post Traumatic Syndrome and Suicide, PTSD, Revealing your Destiny, Self-Respect and Significance, Soldiers and Marines who sustained traumatic brain injuries, spinal cord injury, Spiritual Principles, spiritual progress rather than spiritual perfection, stroke, Subdural Hematoma, Suicide and Hope, tbi adults, tbi children, tbi families, tbi veterans, traumatic / acquired brain injury, Traumatic / Acquired Brain Injury and Anger, Traumatic Brain and Comfort, Traumatic Brain Injury and being Bullied, Traumatic Brain Injury and Comfort, traumatic brain injury and frustration, Traumatic Brain Injury and Hope, Traumatic Brain Injury and Significance, Traumatic Brain Injury and What is my Destiny?, Traumatic Brain Injury and You, traumatic brain injury feeling alienated isolated, traumatic brain Injury in adults, Traumatic Brain Injury in children, traumatic brain injury in schools, Traumatic Brain Injury Self-Esteem and Self-Worth, Traumatic Brain Injury Support Groups / Meetings, traumatic brain injury treatment, Veterans Living with Brain Injuries, Veterans of the Iraq War, What is my Destiny?